Cruise the streets in style on the Icon Biggie BMX. 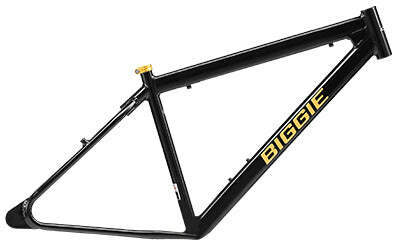 The Biggie achieves agility with a lightweight frame, and strength with a steel fork and three-piece steel crankset. A golden gear ratio of 33Tx16T drivetrain and 26” alloy rims with Maxxis Hookworm tyres make the Biggie smooth and laidback. Be noticed on the old school cool Biggie BMX from Icon. This bike makes a statement with an attractive frame and minimalistic componentry. The perfect street cruiser, you’ll ride in comfort and style on the Biggie. Combining steel and aluminium componentry, the Biggie is strong where it needs to be, and light where it can be. 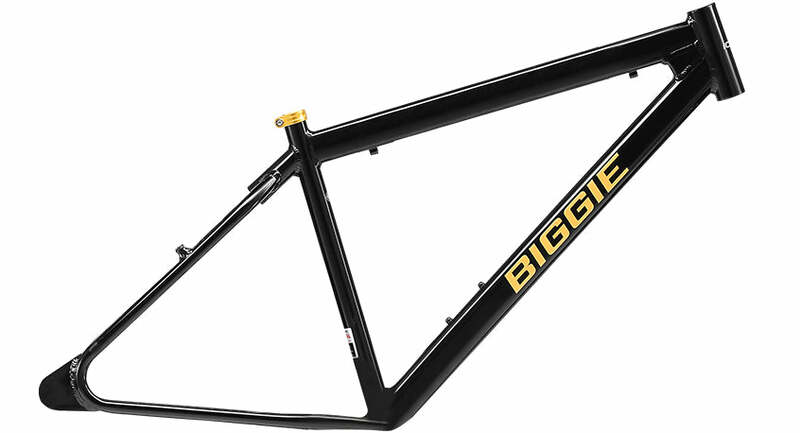 A lightweight alloy frame keeps the Biggie nimble and agile on the roads. 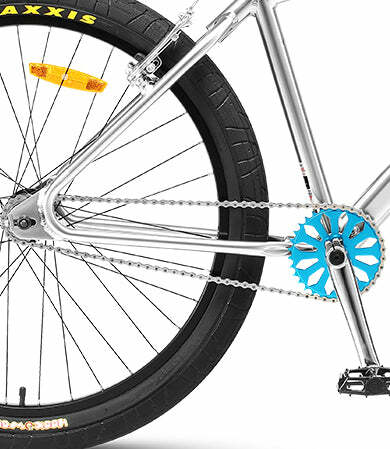 A rigid steel fork and strong steel three-piece crank maintain strength through extensive use. 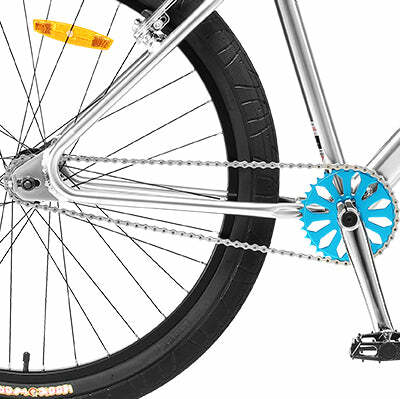 The Biggie is rolling on a gear ratio of 33 teeth in the front chain ring, and 16 teeth in the freewheel. 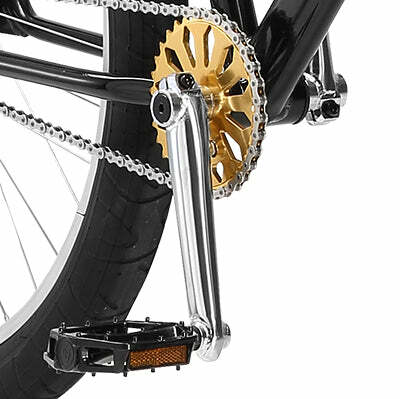 Combined with the 26-inch wheelset, this creates the perfect cruising speed. Experience a low enough resistance for tackling hills, and still pedal smoothly and efficiently over flat streets. 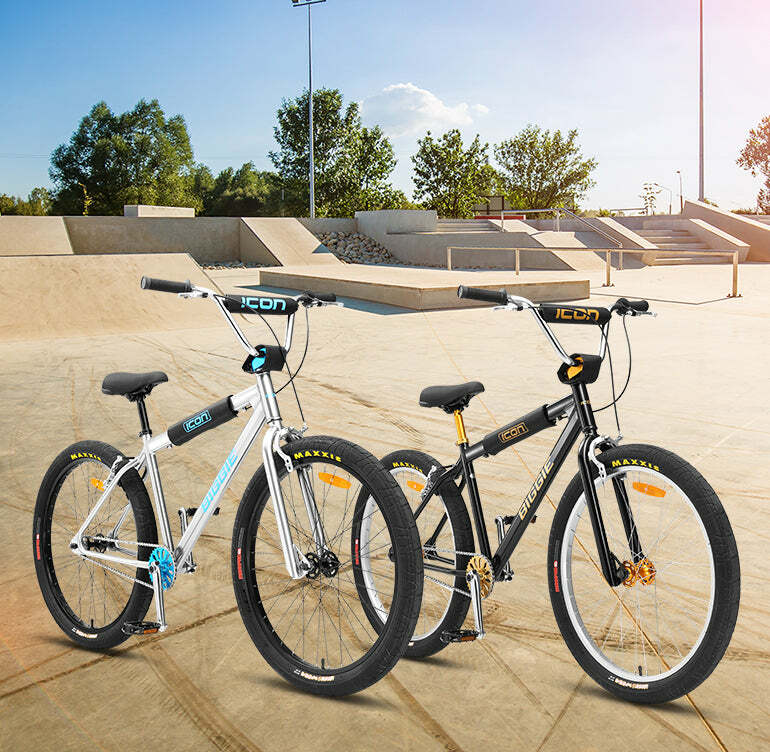 With the Biggie, you’ll find the cool look of the BMX, but on 26” wheels your ride is always smooth and easy, making it the perfect cruiser bike. On strong alloy rims and impressive Maxxis Hookworm tyres, you’re forever in control of the Biggie. Find striking style and smooth riding on the Icon Biggie BMX. The Biggie is built light with an aluminium alloy frame that keeps it agile and responsive. A rigid steel fork stands strong through heavy landings and abuse that you’ll but this BMX through. 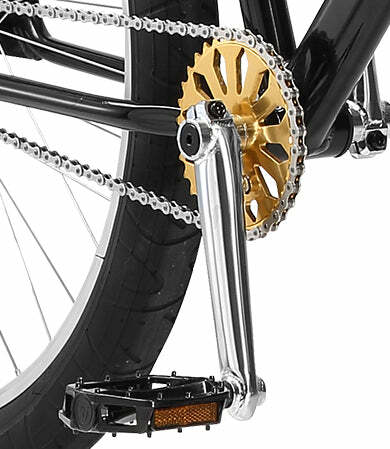 The Biggie’s 33T front chain ring, 16T rear freewheel, and a 26” rim create a golden gear ratio for BMX riding. The speed is perfect for cruising with a low to moderate resistance making hills accessible. 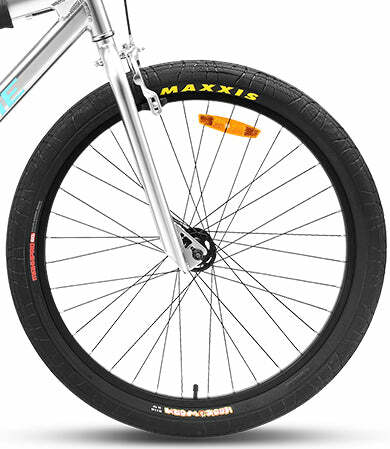 Strong alloy rims and Maxxis Hookworm tyres let you really put the Biggie through its paces. 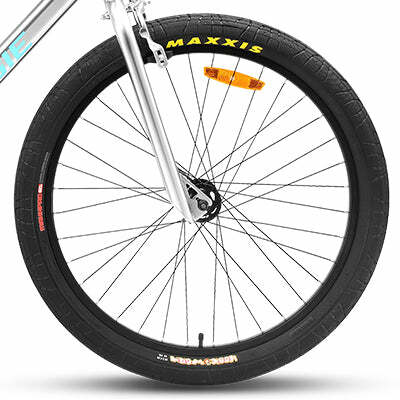 Thick tyre tread and massive air capacity put you in total control in street riding and stunting. Stand up through the pedals and land hard with confidence in the strength of a 3-Piece Steel Crankset.